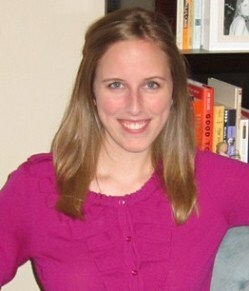 I'm excited to introduce you all to Katie, one of my fellow contributors on The Write Practice. We've gotten to know each other over the past couple months via Twitter messages, email chains, the occasional Google+ Hangout session... and our writing. I spent less than an hour with her almost eleven months ago. I don’t have a photo of her. Her facial features have become blurred in my head. Yet her words are forever etched on my heart. “My name is Loser because I make mistakes,” she said. My heart melted. For one hour, I was Loser’s English teacher. I was a guest speaker told to encourage, entertain, and teach Loser and the 35 other students in the Chinese high school English class. As a native English speaker, I was to convince them they could truly understand and speak English. We started with something simple: their names. Individually, each student stood and told me his or her English name. I met students with some very creative English names: Snowflake, Bread, Kangaroo, Caterpillar, and Loser. As a Christian, I wanted nothing more than to wrap my arms around the girl named Loser and tell her how much she means to her Heavenly Father. How much she means to me. The communist government regulations prevented me from speaking openly about the Lord. Instead I told Loser it made me sad that she named herself after her mistakes. Shortly after I met Loser, I met Hope. Hope said she believes in herself. I praised her healthy self-esteem and encouraged the other students to have a taste of it. To conclude the class, I invited them to ask me any questions they wanted. One student asked me to sing “My Heart Will Go On.” I sang the one line I know and acted out the rest. Another asked for my email address. I wrote it on the chalkboard and told the class they had to email me in English. I’ve never heard from them. One student asked if I wanted a Chinese name. Of course, I eagerly accepted; he wrote it down to help me remember it. Loser’s hand went up. In that moment I had to decide between calling on her by name and calling a precious little girl a Loser. I have come to realize that Loser has done something publicly that I’m only brave enough to do privately: she’s labeled herself by her shortcomings, her mistakes, and her failures. I’d much rather hide behind the façade of having it all together. Like my new Chinese name, it’s hard to remember but that doesn’t make it any less my name. Katie Axelson is a daughter of the Lord who gets to serve as a professional writer and editor. She seeks to live a story worth telling, and you can often find her telling stories at KatieAxelson.com, on Twitter (@KatieAxelson), and on Facebook (Katie Axelson Writer). That is really sad. I hope and pray that "Loser" will come to know that Jesus loves her and that she is beautiful.